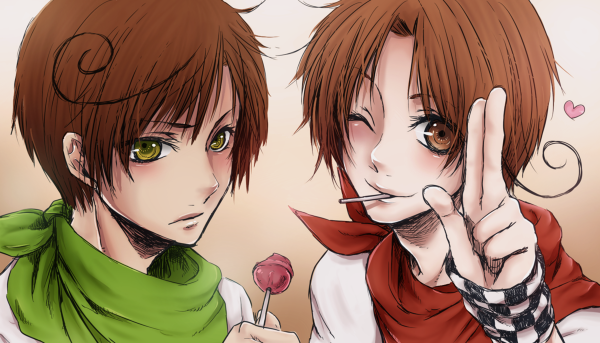 Italy and Romano. . Wallpaper and background images in the ヘタリア Italy club tagged: romano italy hetalia. This ヘタリア Italy photo might contain 肖像画, ヘッドショット, クローズアップ, ポートレート, ヘッド ショット, and クローズ アップ. Oh あなた two got 食 on your little faces! 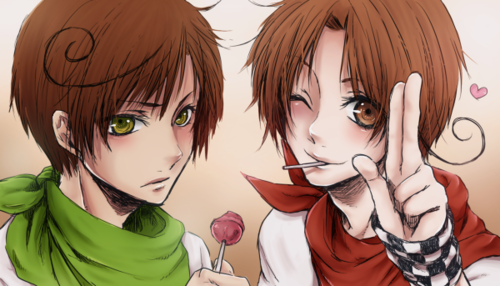 あなた two are too cute!